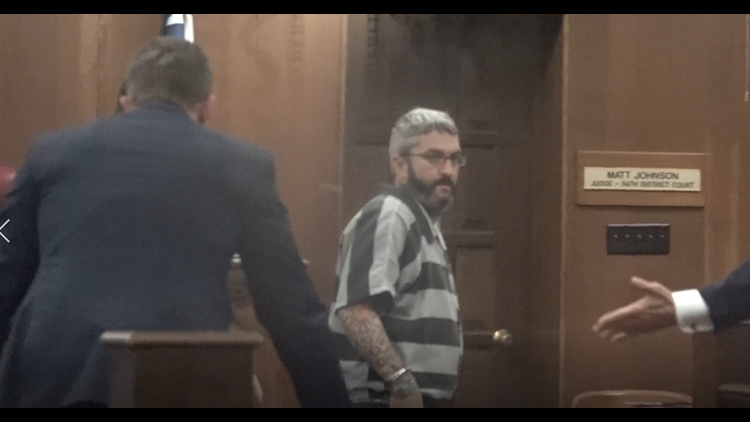 54th District Judge Matt Johnson chose not to make a decision Friday on whether to drop a Riot charge against one of the bikers involved in the Twin Peaks shootout. WACO — A Waco judge held off on a motion Friday to drop a riot charge against one of the bikers involved in the Twin Peaks shootout in 2015. Paul Looney argued the McLennan County District Attorney's office did not dismiss the indictment of Engaging in Organized Criminal Activity against his client, Marcus Pilkington, before filing the new charge. Looney also argued the DA's office didn't handle the indictment correctly because they used the same cause number for both indictments. 54th District Judge, Matt Johnson, told First Assistant District Attorney, Robert Moody, that's not how it's been done in the past. "When I was the first Assistant District Attorney any time you got a new indictment you got a new cause number," said Johnson. Moody said it was a policy that had been in place since Greg Davis was First Assistant District Attorney. Davis left the DA's office in 2014. Johnson chose to table the motion and make a decision in three weeks. Pilkington is serving two years in the state penitentiary for an unrelated charge.